I love Thanksgiving it is my favorite holiday. What’s not to love about a holiday that celebrates family, cooking and decorating! What can you do now to get ready for Thanksgiving? Cook, clean and set the table? 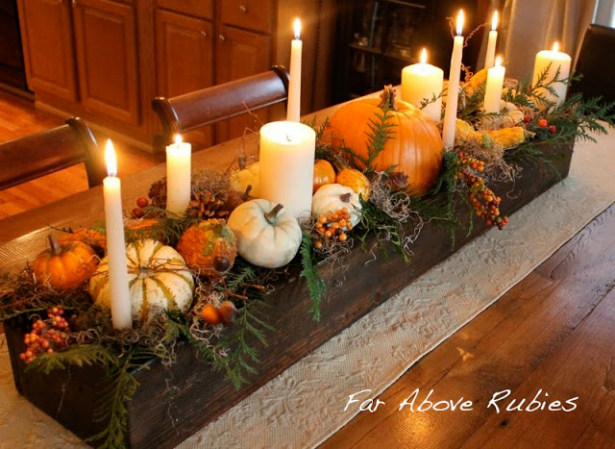 Seems a bit early for that but you can make your centerpiece. Here are some of my favorite ideas. Which one do you like best? 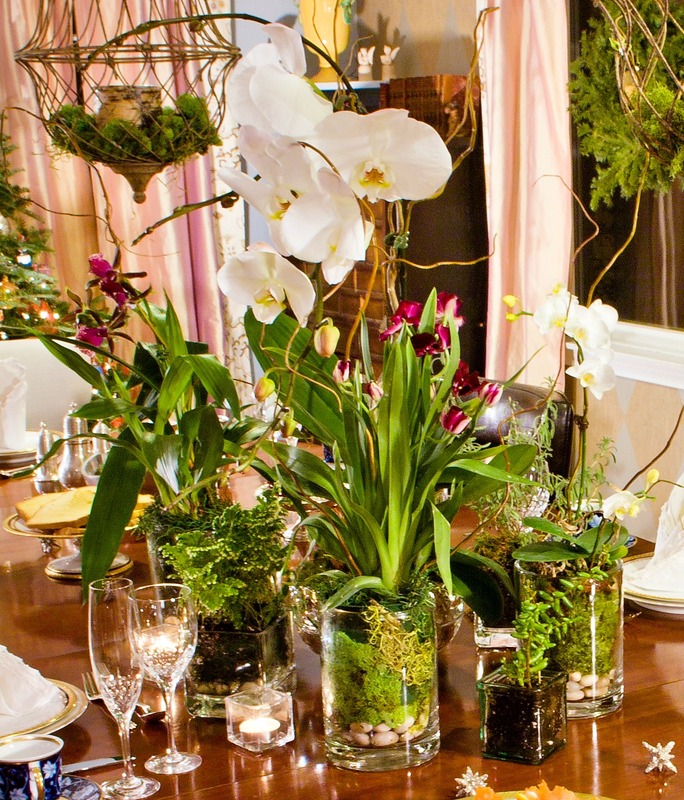 #1 Orchids are by far my favorite way to decorate for the holidays as they last forever! Here I used moss, herbs, succulents, orchids and curly willow. Trader Joes has these orchids for $10-$20 each and they last for months. 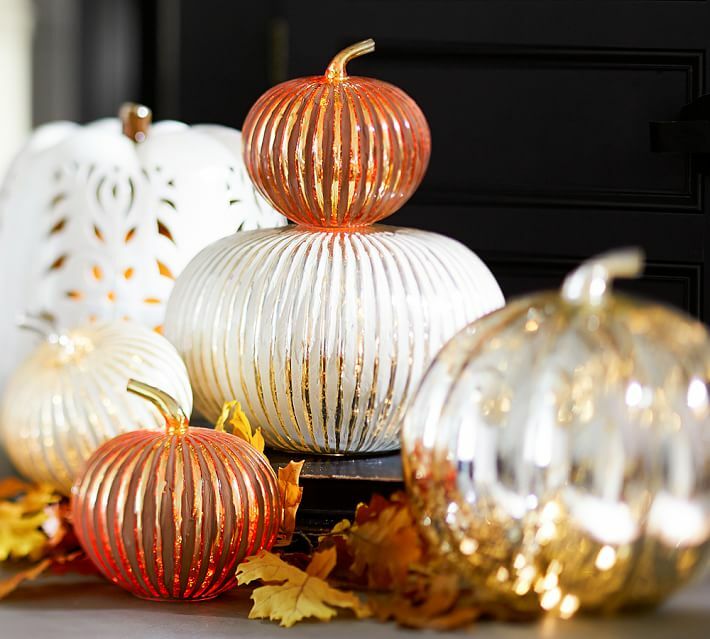 #2 If you want to add glam to your table these Pottery Barn pumpkins are wonderful and can be used every year! 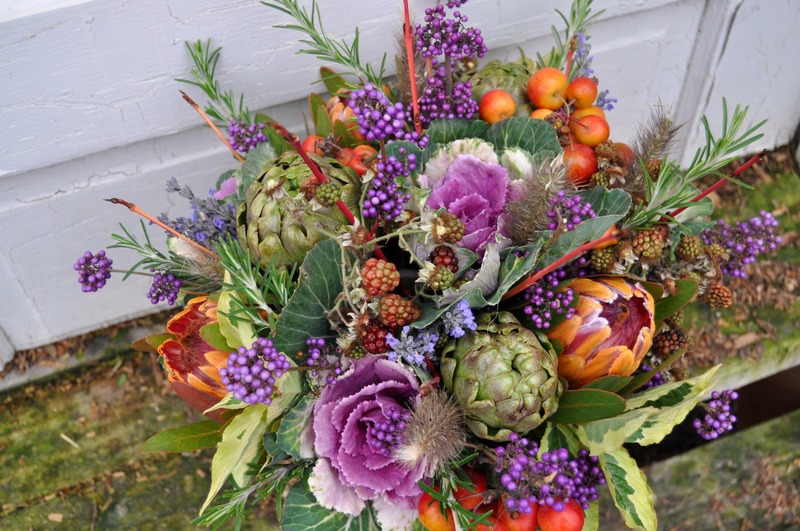 #3 Arrangements of Vegetables and Greens: Kale, Artichokes and Squash are great & last for weeks. 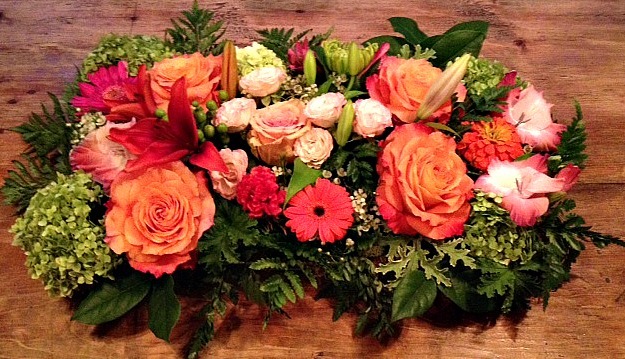 I love this one from http://www.countrybouquetsfloral.com. 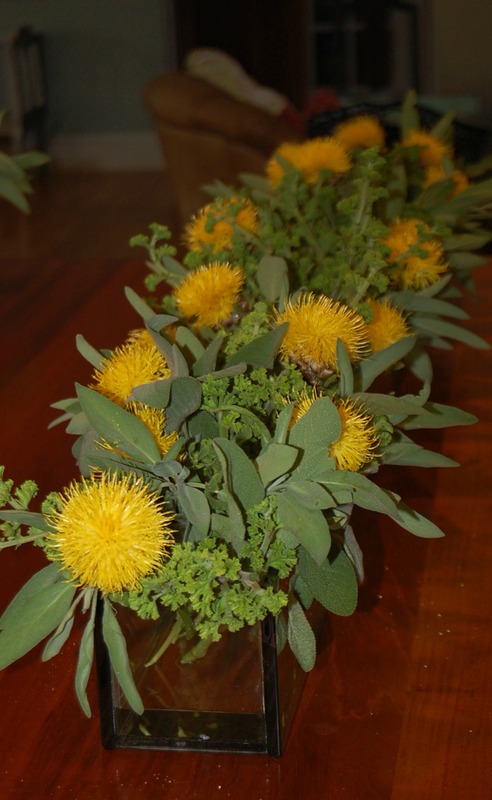 #4 Long low arrangements of herbs and thistle or other long-lasting flowers are great. 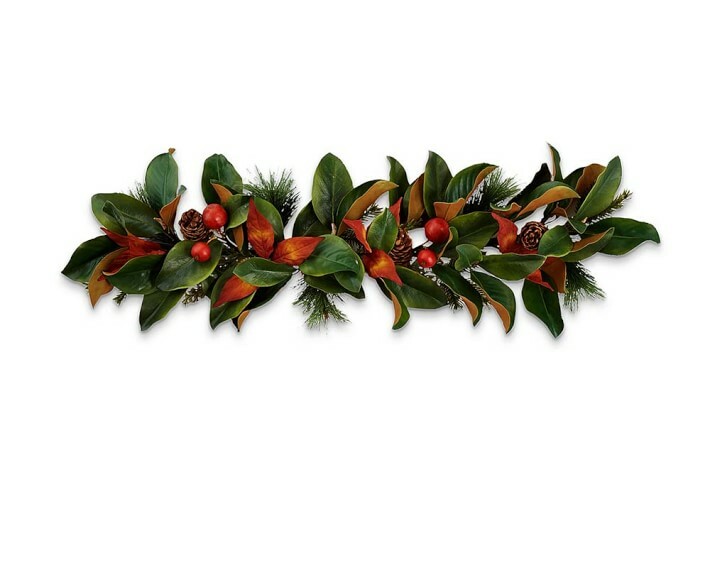 This is 48″ long and it has a great modern look. 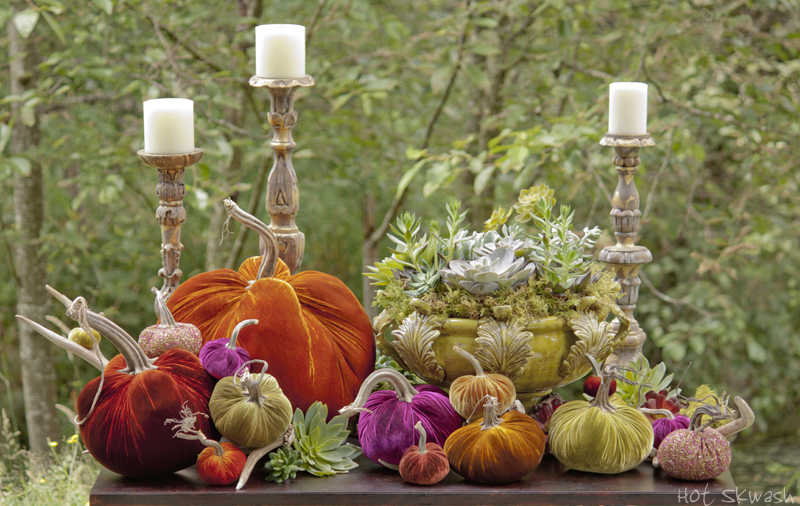 #5 I love these velvet pumpkins! They can be used every year and in numerous different ways. Mine came from Dwellings 207-781-3711 call them for colors, sizes and pricing. They can ship them to your door! 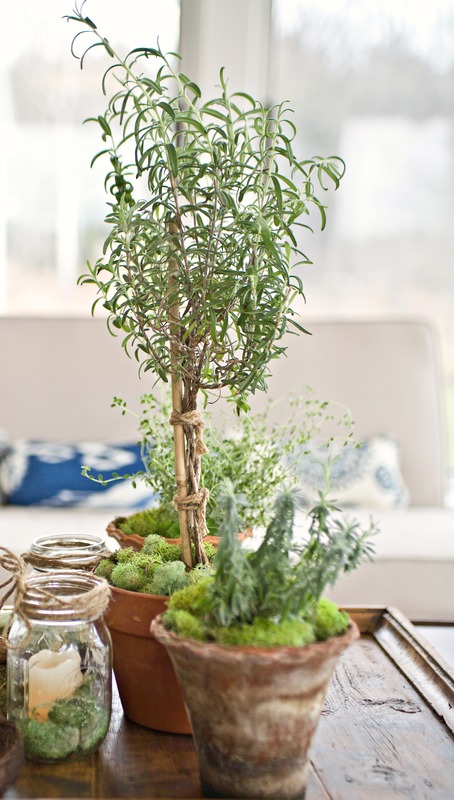 # 6 Herbs make great centerpieces and they are useful too. Here I planted rosemary and lavender in some old pots and I added candles in mason jars with moss. I put everything on tray so it is easy to move if you need to put food on the table. 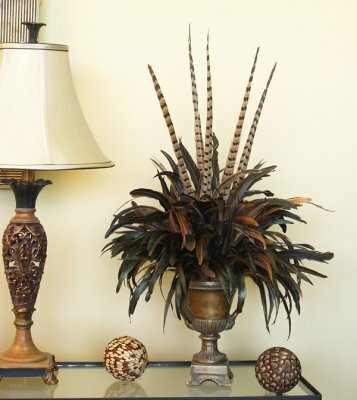 #7 Feathers are fabulous and these arrangements can be done in advance and they last forever! This one is from http://floralhomedecor.net. #9 You can make your own floral runner. I made this one as a demo for a client and it lasted about 8 days and cost about $25. I hope you all have a wonderful holiday! I am going to set my table today! I better get out the ironing board…my table clothes and napkins are clean but wrinkled! I wish you all a peaceful, and beautiful Thanksgiving. Thank you for stopping by let me know your thoughts, by commenting or liking this post. LOVE # 3, 9 and 10! Wonder how it would come out if I tried to do it?